Pens Universe recently got the chance to interview one of the Pens up and coming blueliners Ben Lovejoy. Ben has played in several NHL games with the Pens filling in for an injured Brooks Orpik. I would like to thank all of our readers who submitted questions for Mr. Lovejoy and also a BIG thanks to Ms. Siena Slusser, whom without, this interview would have not happened. PU: Did you have a hockey idol growing up? Did he influence your style of play, if so why? And if not, what player or players do you most likely compare your style to? 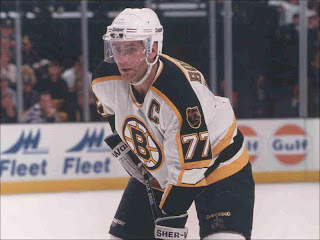 BL: Ray Bourque. As a defenseman growing up in New England my favorite player was definitely Ray Bourque. He was so good for so long for the Bruins and it killed me that he never was able to win the cup in Boston. As a younger player he definitely influenced my game. I tried to get up the ice and be as good offensively as he was. Unfortunately as I got older I realized that my game would be a more defensive role - so I don't really compare my style to his anymore. PU: Do you have any pre-game rituals or superstitions, if so do they differ from being in Pittsburgh or Wilkes Barre? PU: What were some of the thoughts running through your head when you first got the call you were making the trip to Pittsburgh? BL: My phone eventually died on the five hour car ride to Pittsburgh. It was so much fun to be getting calls from everyone congratulating you on finally making it. It was the quickest 5 hour ride of my life. PU: What is the biggest adjustment going from the AHL to NHL? BL: Filling a different role. Most of the time when you get called up you play a different role. When I am in the AHL I play in every situation and I am constantly on the ice. In the NHL I play less and can go through stretches where I don't see the ice very much. I need to stay mentally in the game and be ready for my next shift no matter how long its been since I last skated. PU: During your recent call up, was there any current Pittsburgh veteran that helped you adjust to the NHL game? BL: I really enjoyed playing with Jay McKee. He was very supportive on the ice, on the bench, and in the lockerroom. I really liked playing with him. PU: Is it frustrating getting sent back to Wilkes-Barre, knowing that you have the skills to play at the NHL level, or are you more of a 'patient guy' knowing that your chance is coming? BL: Playing with Pittsburgh is a lot of fun. They are the defending champions and obviously a very talented team. Hopefully someday I will crack their line-up full time, but right now I am focused on playing my best in Wilkes-Barre and continuing to improve all areas of my game. PU: How is it like having one of you college teammates, Nick Johnson, playing in Wilkes Barre with you? BL: It's good. He's a great guy and a really skilled hockey player. It's been nice having him in Wilkes, but I am really happy he's in Pittsburgh now. PU: Who would you say is your closest friend in the Penguins organization? PU: What has been your most memorable moment both as a member of WBS and the Pittsburgh Penguins thus far? BL: The most memorable was definitely the Calder Cup run my first year. It was such a great run to the finals and we really came close to completing a comeback against Chicago. Playing my first game in Pittsburgh was really cool. I was so nervous and excited. By the end of the game I was so exhausted and so glad that I was able to do it. I spent 24 years of my life working for that night, and to accomplish a lifelong goal was an unbelievable feeling. A huge thanks to Mr. Ben Lovejoy for taking the time out for Pens Universe!